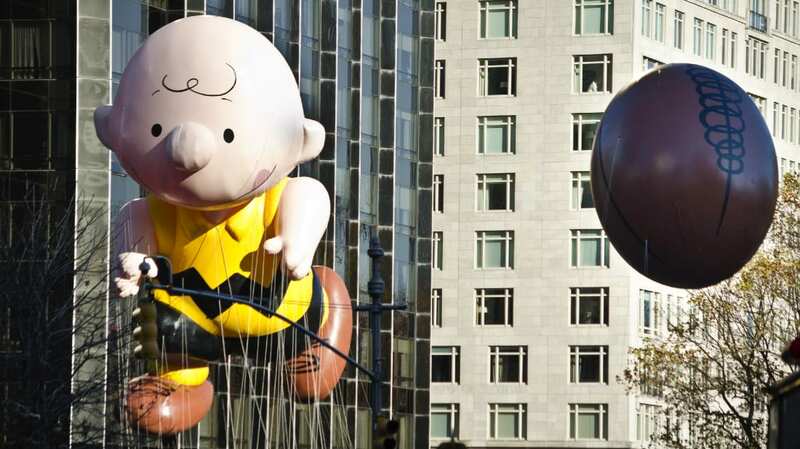 The balloons for this year's Macy’s Thanksgiving Day Parade range from the classics like Charlie Brown to more modern characters who have debuted in the past few years, including The Elf On The Shelf. New to the parade this year are the Teenage Mutant Ninja Turtles. But how does the retail giant choose which characters will appear in the lineup? Balloon characters are chosen in different ways. For example, in 2011, Macy’s requested B. Boy after parade organizers saw the Tim Burton retrospective at the Museum of Modern Art. (The company had been adding a series of art balloons to the parade lineup since 2005, which it called the Blue Sky Gallery.) When it comes to commercial balloons, though, it appears to be all about the Benjamins. First-time balloons cost at least $190,000—this covers admission into the parade and the cost of balloon construction. After the initial year, companies can expect to pay Macy’s about $90,000 to get a character into the parade lineup. If you consider that the balloons are out for only an hour or so, that’s about $1500 a minute.